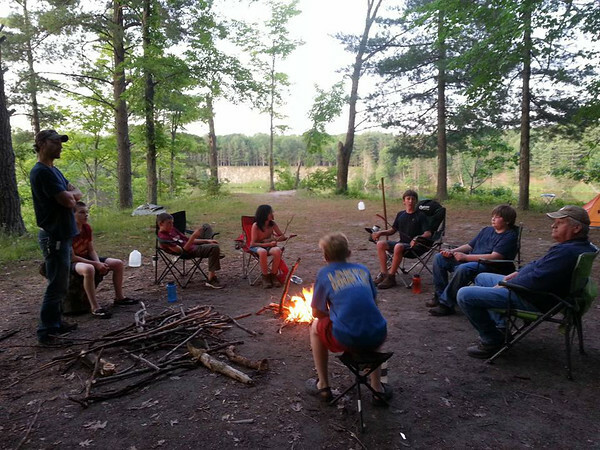 Scouts from Troop 10 in Benzie County spent two nights on Government Island in the Manistee River. They kayaked all of their gear to the island, set up camp, and enjoyed three full days of swimming, kayaking, and exploring the river islands. Scouts and their scoutmasters around the campfire after a long day of swimming and kayaking. Photo by Eric Johnston.